As we have previously reported, Cody has filed for a number of trademarks of late. The most recent round of filings include a number of WCW pay-per-view event names, including Bash at the Beach, BattleBowl, and Bunkhouse Stampede. Previous trademark filings include one for his late father’s wrestling name, Dusty’s nickname, and Cody’s “American Nightmare” moniker. Cody took to Twitter to address the story directly. The American Nightmare says that no one should read too much into the trademark news. The “cattle” that Cody mentions, is what he considers to be Dusty’s intellectual property. Dusty Rhodes served as a booker for Jim Crockett Promotions and World Championship Wrestling. In that role, he is credited with creating the War Games match, Starrcade, and a laundry list of other well-remembered events and concepts. Cody has addressed this subject before, noting that many of Dusty’s creations hold personal meaning to his family. Cody’s heartfelt explanation should resonate with fans. However, he is an executive vice president of a professional wrestling company. As a result, it is easy to see how fans and media alike could reach certain assumptions based on these trademark filings. But by addressing the story with transparency, those assumptions can be put to rest. 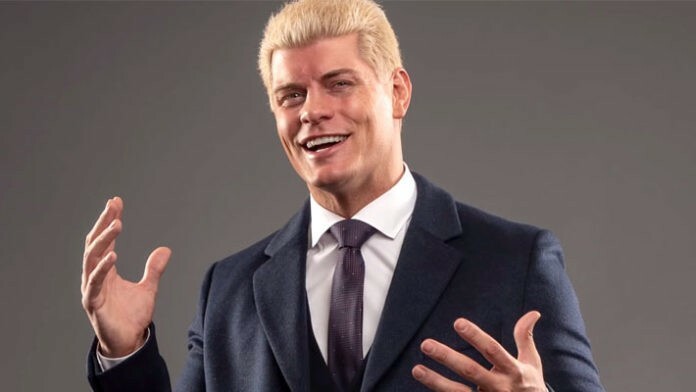 What do you think of Cody addressing the trademark story head-on?